KAMPALA – The Uganda Communications Commission (UCC) has ordered for the suspension of Daily Monitor news website for publishing what it called a false story about Speaker of Parliament Rebecca Kadaga being dragged by a traditional healer to court. In the story which was published on the website but not in the newspaper, a traditional healer, Damiano Akuze, dragged Kadaga to court, seeking over Shs200m for breach of contract after he allegedly gave the Speaker charms that propelled her to prominence but she refused to pay him. And now UCC claims that on top of publishing “fake news against the person of the Speaker with the intention of damaging her reputation”, the Monitor Publications Ltd did not register the Daily Monitor website in line with the law. “Reference is made to the above subject matter and the commission’s directive and public notices dated March 20, 2018, and April 4, 2018, wherein all providers of online data communication services, which includes provision of online newspaper services, were directed to register and obtain authorization from the Uganda Communications Commission” the letter dated February 6 to MPL reads in part. “Further reference is made to a complaint dated February 4, 2019, from the Office of Speaker of Parliament of Uganda wherein the Speaker states that Monitor Publication Limited through its online news platform allegedly published fake news against the person of the Speaker with the intention of damaging her reputation,” the letter adds. UCC adds that whereas they are investigating whether MPL published the subject story in accordance with expected standards and codes of ethics of journalism, the company refused to obtain the requisite authorization for the provision of data communication services in Uganda. “That Monitor Publications should immediately suspend any further provision of online data communication services (online paper services) until MPL has applied for and obtained the requisite authorization from the commission in accordance with the law and communication’s earlier public directives,” the statement adds. MPL management was not available for comment. 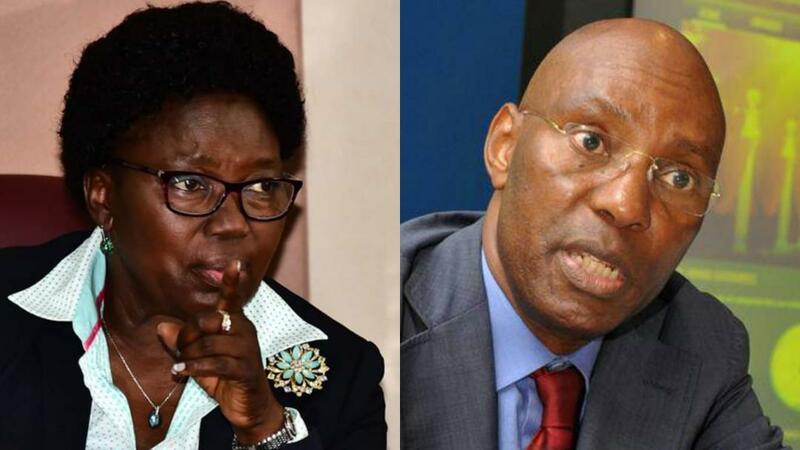 However, in a statement issued on Friday, the Clerk to Parliament Ms Jane Kibirige said the traditional healer’s suit was defamatory and Ms Kadaga has was elected Speaker in May 2011 due to hard work and not witchcraft. “Therefore, Mr Akuze’s claim that he catapulted her to the post of Minister within a flash should be treated with contempt it deserves,” she said.